We are a second hand car dealer based in Sheffield, South Yorkshire. We offer quality used cars at very affordable prices. If you are after fantastic savings on your first car or looking to upgrade, you can be sure that you will find competitive prices and the best service from CSK Motors in Sheffield. We offer a wide range of services including Used Vehicle Sales, Vehicles Wanted, Part Exchange and Delivery. Finance available on certain cars and warranties are also available .We take all major credit/debit cards. 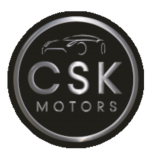 CSK Motors Ltd are a credit broker and not a lender. We are Authorised and Regulated by the Financial Conduct Authority. FCA No: 799000 Finance is Subject to status. Other offers may be available but cannot be used in conjunction with this offer. We work with a number of carefully selected credit providers who may be able to offer you finance for your purchase.